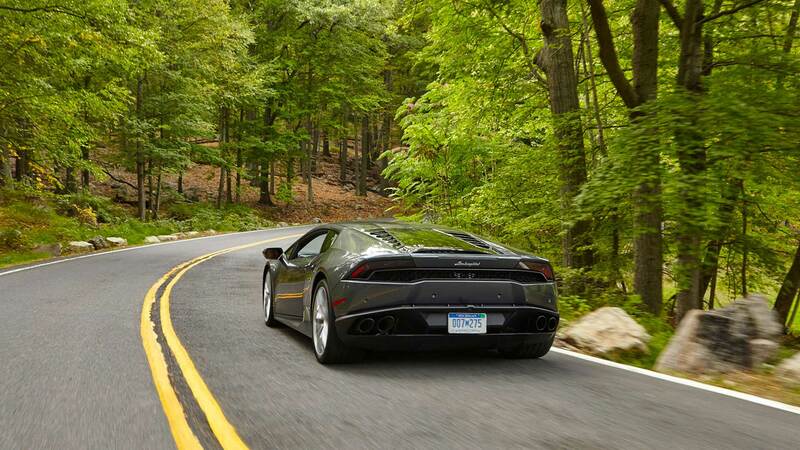 The $280,000 table setting for our impromptu picnic is the Lamborghini Huracán, a 610-horsepower, 202-mph supercar. 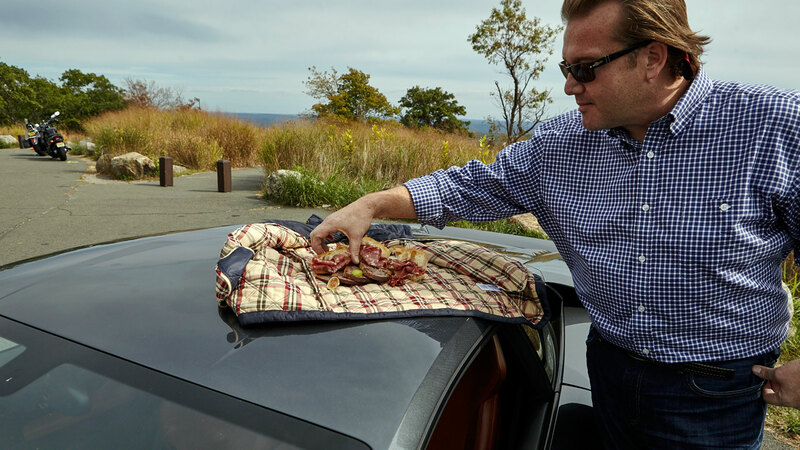 Chef White arranges a simple lunch from his Ristorante Morini on the car’s roof, just ahead of the glass-encased V-10 that’s hot enough to fry carciofi. Ribbons of Prosciutto di Parma, figs, a fragrant and yielding focaccia. La Tur cheese, the Piedmont three-way between sheep, goat and cow milk. The main course? Lamborghini’s freshest Italian bull, served fast and bloody around Bear Mountain, an hour north of Manhattan. Minutes earlier, White hustles the smoke-gray Huracán up the Sawmill Parkway, thrilling to the mechanical shriek and wallop of the V-10 perched behind our backs. This, however, is White’s first time driving a Lamborghini. He’s as stoked as when he cooked for the likes of Enzo Ferrari, Michael Schumacher and Alain Prost as a college-aged apprentice at Italy’s famed San Domenico ristorante. White still remembers sitting in Imola’s empty grandstands during Formula 1 testing, chain smoking and committing every V-12 aria to memory. Something else stays with him, too: That seven-year sojourn in Imola found White cooking in the Marlboro track tower the day Ayrton Senna met his end on the F1 track. White’s years at the intersection of Italy’s car and food cultures led him to his wife, the former Giovanna Cornachione. That full-boil immersion in a nation’s cuisine has helped make White one of America’s true pasta gods. That, despite a last name that literally signifies Wonder Bread and mayonnaise, not marinara. But he doesn’t downplay his Midwest roots. A broad face, a sweep of dark blond hair and expressive brows suggest his Norwegian heritage. Draped over the Lamborghini, his meaty hands and broad, six-foot-four frame are those of a former high school football lineman. For four decades, White’s grandfather owned Sherm’s Standard Oil in Beloit, Wisconsin. His father was the station’s mechanic. That put cars front-and-center, with White building a lowrider ’66 Chevy C10 panel truck during high school. After opening Fiamma in New York in 2002, earning his first Michelin star by age 29, he bought a Subaru WRX STi the minute it came out and started modifying it. That led to a BMW M5 V-10, then a Mercedes E63 AMG. Do we detect a trend? When White first tasted real Italian food, moving from a high-school gig at Beloit’s Butterfly Club to Chicago’s Spiaggia, he knew his calling. This was before the revolution, before foodies and Iron Chef, when pesto sauce and porcini mushrooms seemed exotic to Americans raised on Chef Boyardee. The chef points out a striking coincidence: Italy boasts epic cuisine from Tuscany to Rome, yet the Emilia-Romagna region “is the breadbasket of Italy,” the birthplace of so many classics. Parmigiano cheese. Prosciutto de Parma. The balsamic vinegars of Modena. (Those flavors are highlighted at my personal White go-to, Osteria Morini, a soul-warming gem in SoHo.) But Emilia-Romagna also packs every Italian auto staple in one close cupboard: Lamborghini, Ferrari and Maserati, with side dishes in Ducati and Pagani. White’s own cheerfully ecumenical style lets him draw from Italy’s full larder, including unexpected yet authentic flavors, namely a spaetzle that shows the fusion of German and Italian Alpine cultures in the Alto Adige. 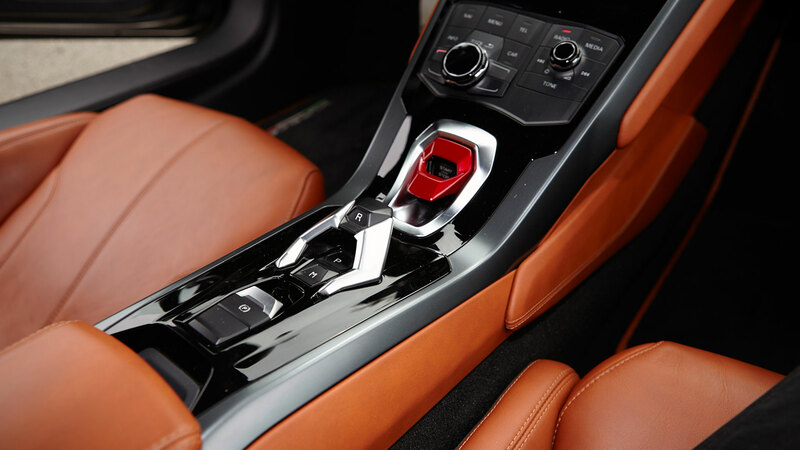 Lamborghini, of course, is now the exotic essence of German-Italian fusion. The Huracán shares its aluminum spaceframe, 5.2-liter engine, dual-clutch gearbox, all-wheel-drive and infotainment systems with its corporate cousin, the Audi R8. On the road, White expresses surprise at the livable nature of this modern Lambo, considering its old reputation as an angry, lurching bull that would as soon kill you as play nicely with its matador. 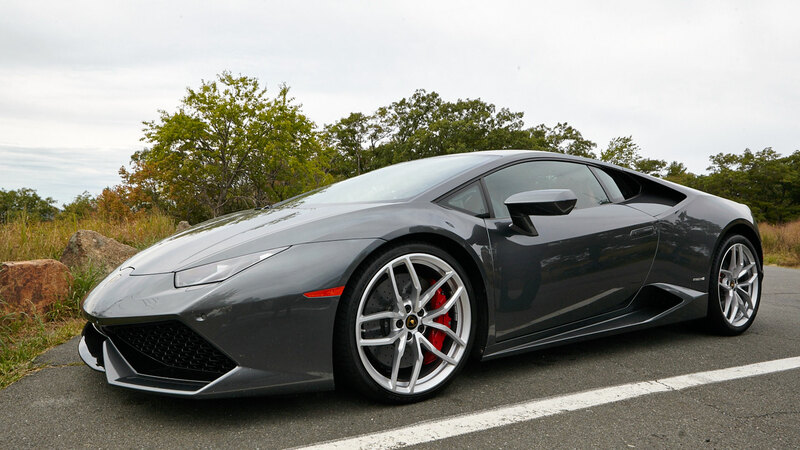 Exiting the Tappan Zee bridge tollbooths after crossing the Hudson River, White spots daylight and puts his foot off in the Huracán, firing off paddled upshifts with orchestral flourish, rushing past 8,000 rpm, leaving SUVs and other would-be paparazzi in our wake. “Anybody can drive this car fast; you look like a pro,” he says. Like the Huracán, a refreshingly minimal yet knee-weakening shape, White’s own culinary style has evolved as his reach and reputation have grown. It’s less flashy and accessorized, more about capturing Italy’s essence in a few well-considered strokes. He offers one of Marea’s renowned seafood crudos as an example: A dab of raw tuna, topped with a crispy chip, moored on a bed of oyster crema. Seeming simplicity cloaks a skilled and complex performance: The crema is a fine puree of oysters, fish sauce, sunchoke or artichoke, escarole, chili, lemon oil and garlic. “There’s only three things on the plate, but you get all the flavors of Rome,” he says. Atop Bear Mountain, a pair of leather-clad bikers approach us. The Harley rider of the duo is drawn by the Lamborghini, but he flips out when he learns who’s in charge of the picnic. Of course, some things can only be had in the Old Country. White shows me a photo of his culatello. It’s not an Anthony Weiner exposure, but the most prized of Parma salumis; a deboned hind leg of a swine from Emilia-Romagna, twined inside a pig’s bladder for years of aging. The pear-shaped culatello is marked “White/Bourdain,” hanging next to haunches set aside for Princes Charles and Albert of Monaco. White aims to fetch his soon, though like most Italian meats, it’s not legal to import or serve at his American restaurants. “Only for personal consumption,” White says with a wink. Lamborghini isn’t the only new experience on White’s plate. His first-ever French restaurant, the elegant Vaucluse, opened weeks ago in Manhattan. Vaucluse becomes White’s 17th restaurant, in his Altamarea Group partnership with former Merrill Lynch co-president Ahmass Fakahany. Yet unlike some celebrity chefs—who license their names but mostly hold court on TV—White still mans one of his kitchens most every day, while leading some 1,000 employees around the world. We head to the Upper West Side, to White’s apartment, so he can change into chef’s whites and prepare for Vaucluse’s coming wave of critics. Some may be sharpening critical knives over his legitimacy au français, but White also spent a few years cooking in Grasse. He’s eager for the challenge. He calls his wife Giovanna outside to look over the Huracán, and their daughter Francesca hops aboard to hear it rev. He’s buttering up the family: After his wife and daughter get a load of this Lamborghini, White’s intentions of ordering a 911 GT3 might seem practical. And a bargain. 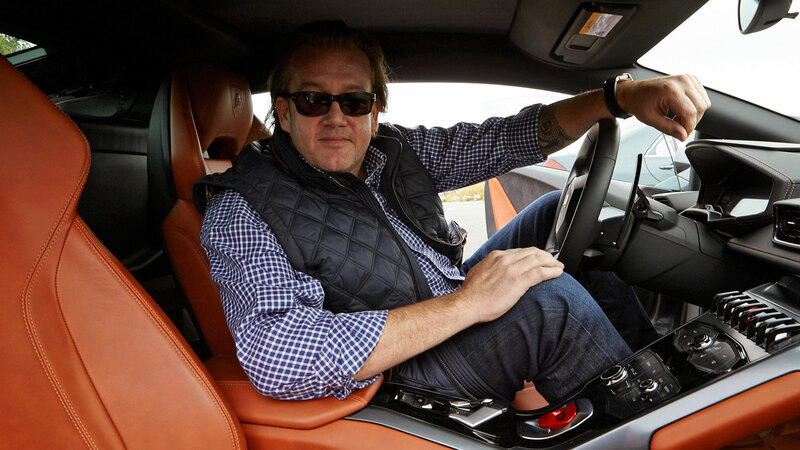 “I’ve been too busy opening restaurants to think about a new car,” he admits, driving Giovanna’s Mercedes GLK instead. But now he’s curious about Monticello Motor Club, the country-club style circuit near the Catskills, and asking my opinion of the GT3 and other sports cars. It’s been an amazing day, White says. But apparently, this chef can’t stand the heat of the Huracán.